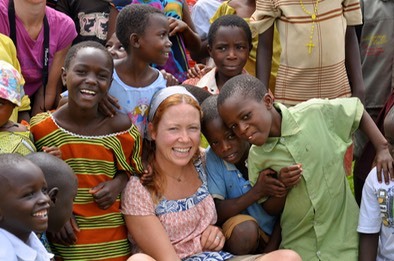 Sometimes when people come to Uganda on Safari they find themselves wanting to help the local communities in some way. With our full safari schedule that can be very challenging, so most people think the only way to help is to give monetarily, but in fact, you don't have to have deep pockets to make a difference in someone's life on a Wildlife Experience Safari. We make it easy for you to be involved in one of our Community Action Projects if you choose. Here's an example of ONE of our action projects helping people and the environment! 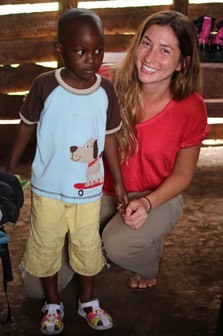 70% of the children in rural Uganda do not have shoes. Since most shoes bought in the U.S. have a high environmental impact and end up in our landfills, it makes sense to recycle our shoes in any way possible. How Sole to Sole works Wildlife Experience partners with local U.S. schools to have a Recycled Shoe Campaign. Shoes are collected, brought to Uganda and a local community is selected from the Kibale district to receive the shoes (we arrange everything). 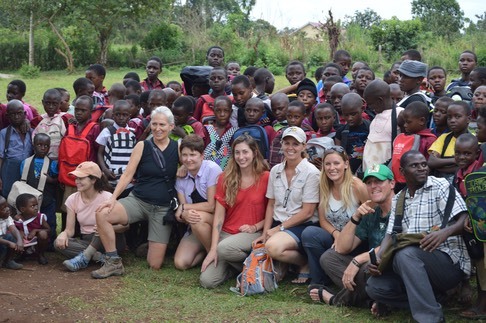 After all of our excursions in the Kibale Forest, guests can choose to enjoy an afternoon of relaxation in the beautiful Kibale area or meet the local community and help Wildlife Experience distribute shoes in the village selected for our program.